You’ve managed to go through getting your current Angular 5+ project Angular Universal-friendly, which might have involved finding dependencies that are Angular Universal friendly too. Here’s a story on how to switch to Angular Universal for Server Side Rendering (SSR), Dynamic or Pre-render. 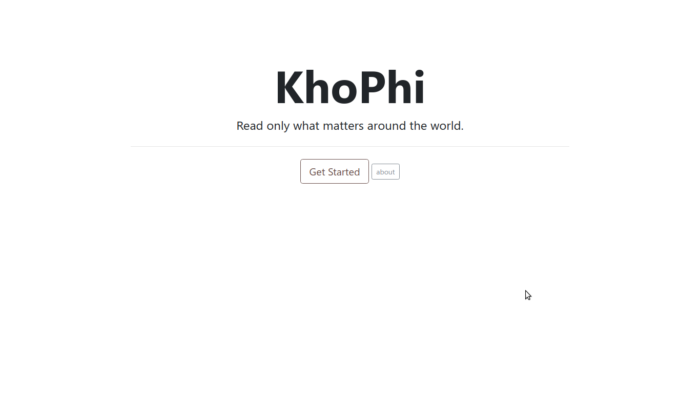 That is the story I followed to get khophi.com to be SSR. After re-reading for some 5 times, the process made sense and all the moving parts fell inline. Hopefully, some day, the process might be simplified. This article will go through how to server your Angular SSR in production behind a Nginx proxy. 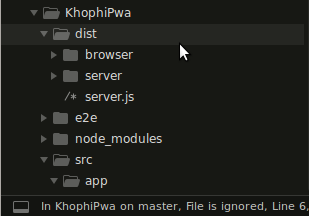 So via SFTP or any other means, you find suitable, upload the entire contents of the dist/ folder. Use whatever folder names that match your setup. 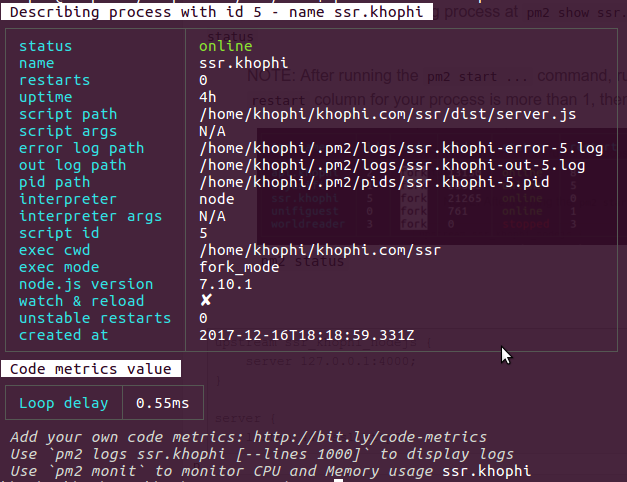 PM2 is a production process manager for Node.js applications with a built-in load balancer. You can read more about it. That’s what we gonna use. NOTE: After running the pm2 start ... command, run pm2 status. If you notice the restarts column for your process is more than 1, then there’s a restart loop. You know where to find the logs if any issue. All the best. put the content below into it. # NOTE THERE IS NO TRAILING SLASH AT THE END. NO TRAILING SLASH. NO SLASH. NO! sudo service nginx restart should, duh! This is what I get in response. Success! Lemme know of any questions in the comments.